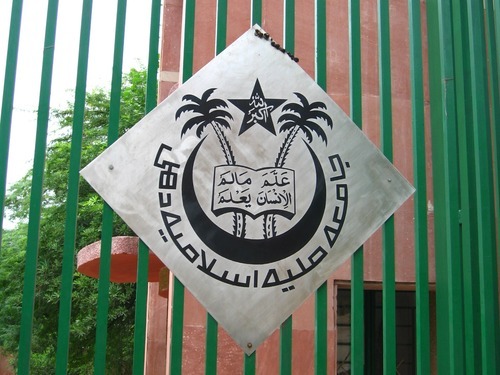 Jamia Millia Islamia (JMI) invites application for admission to Diploma in Refrigeration & Air-Conditioning courses for an intake capacity of 50 in each course under the Scheme of Community Colleges for the academic session 2015-16. The course aims at providing skilled manpower and technical persons in the highly demanding field of Refrigeration & Air-Conditioning for employment and entrepreneurship and also to fulfill the emerging needs of the economy. The main objective of these courses is to generate employment opportunities for youth. The admission will be purely on merit basis and there will be NO Entrance Test this year. The Admission Form & Prospectus may be downloaded from JMI website www.jmi.ac.in/admissions. The duly filled in Application Form along with self-attested photocopies of all relevant certificates, mark sheets, etc. and a Bank Draft or Indian Postal Order of Rs.400/- (Rupees four hundred only) in favour of “Jamia Millia Islamia” payable at New Delhi must reach the office of the Community College, University Polytechnic, Jamia Millia Islamia either in person or by post latest by September 19, 2015 upto at 4.00 PM. In order to motivate students to join courses under the scheme, an scholarship of Rs.1,000/- (Rupees one thousand only) per month will be provided to the students at the end of each semester, subject to their satisfactory attendance and on successfully qualifying the end semester examination without any back paper/back log. In the event of short attendance or failure of student in the end semester examination, she/he will not be entitled for scholarship during that semester. No arrears shall be admissible to the student for such period. The University Grants Commission (UGC) has approved and sanctioned grant-in-aid amounting to Rs.61.56 lakhs for setting up labs./workshops/classrooms/procurement of teaching and learning material, machinery, equipment besides other recurring expenses. बाप रे बाप, न्याय इतना महंगा!